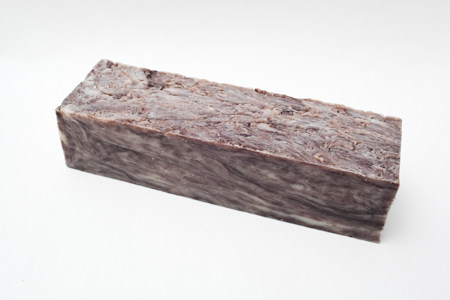 Our signature blend of oils with black walnut hull powder and anise star essential oil to make a wonderful licorice bar of soap. Anise has been used by fishermen for years to mask their scent from the fish. Many soap makers have called anise soap "fisherman's soap" for this reason, but we want our soap to appeal to more than fishermen. 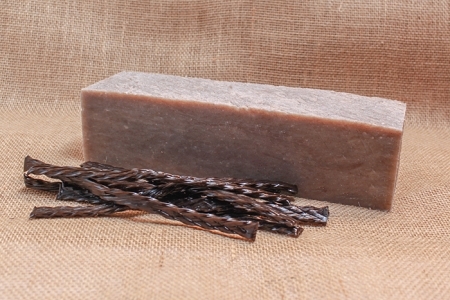 Since licorice has been popular for years because of it's anise scent, we thought it would be appropriate to name our handmade anise soap "Black Licorice". Best For Skin Type: Moderate/Most Skin Types (Moderately Oily to Moderately Dry) Ingredients are now listed on the "Ingredients..." page. Bars are approximately 4 oz but will vary from approx 4-5 oz.